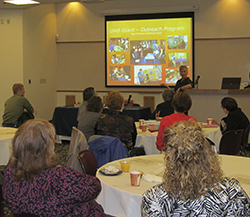 The Wabash Valley Literacy Coalition (WVLC) is a group of educators, social service providers, interested community members, and librarians whose mission is to promote literacy awareness and to support and encourage literacy efforts in the community. Visit their Facebook page to learn more. 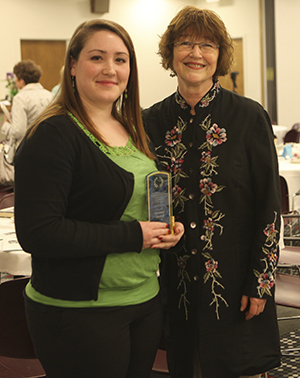 The Literacy Volunteer Recognition Event and Fundraiser recognizes volunteer tutors in literacy programs in Vigo, Clay, Parke, and Vermillion counties. This annual "Dessert and a Good Book" event, offers a buffet of gourmet desserts and a free book to all attendees. This event is free to all active literacy volunteers and at a nominal cost to all other literacy advocates. A gift basket silent auction is included as an additional fundraiser. Two literacy Awards are presented at this event: The Edward N. Howard Literacy Award, presented to an individual, group, organization or business that has significantly contributed to the literacy efforts of the Wabash Valley Literacy Coalition. 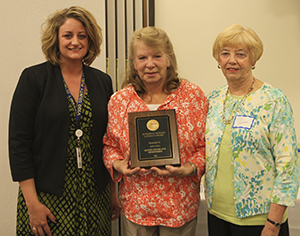 The "Walter and Louise Sommers English Language Tutor Award" is presented to an outstanding ESL tutor in the VCPL ESL Program. The High School Equivalency Graduation is a ceremony sponsored by the Vigo County School Corporation for adults who have successfully passed the High School Equivalency exam. The Coalition and its individual members support this event with attendance. 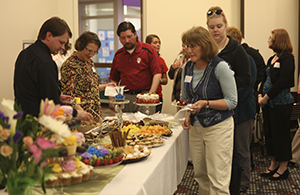 Member organization, Altrusa International of Terre Haute, provides refreshments following the ceremony. The GED graduation is traditionally held in May at Woodrow Wilson Middle School auditorium. Multicultural Story Time and "Put Your Nose in a Book" Literacy Promotions As part of the Library-coordinated, annual "Family Learning Day", WVLC hosts a multicultural family literacy story time with multi-lingual guest readers who distribute free books to families in attendance. 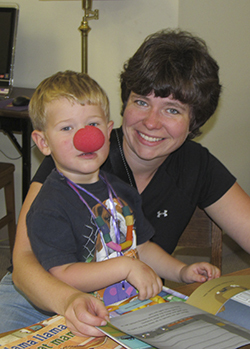 "Put Your Nose in a Book," a literacy awareness campaign, adopted by the state of Indiana in 2003 & 2004, engages families attending the morning events of “Family Learning Day” to read together as a fun family activity. 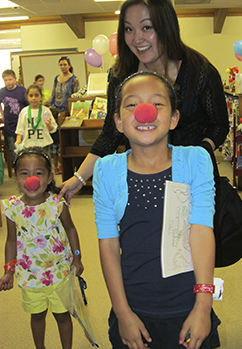 Red sponge noses are distributed to children who read with their family member/s or check out a library book.